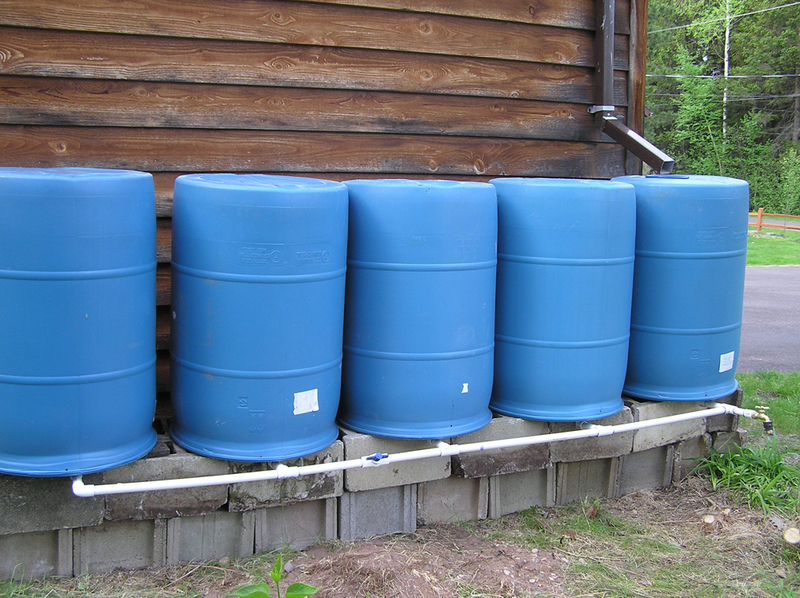 A rain barrel system allows you to collect the rainwater and use it to water your plants. When planning your new landscape or landscape renovations for the spring season, don’t forget water conservation. While this is at the top of the list in many parts of the country, we are quite fortunate here. We have adequate water most of the time, except for infrequent summer droughts. However, being good stewards of the land requires that we not squander this resource. Besides, you are paying for that water by the gallon. When the Garden Writers Foundation conducted its semi-annual garden trends survey last fall, a third of the respondents said they don’t water their landscapes while a quarter have no plans to conserve water. Those who do want to conserve water mentioned using drought tolerant plants, more mulch, drip irrigation and rain barrels. Grouping plants according to their water needs is a basic xeriscaping technique. That way, you can water that area for just the right amount of time and you don’t end up with overwatered and underwatered plants. Reducing your turf area is another xeriscaping technique. Native plants should be best adapted to our climate and, therefore, to the amount of precipitation we receive. Schedule one of our lawn care crews to aerate your lawn in the spring. Aeration loosens soil so water can get to the plant roots quickly. Water just runs off compacted soil. Also, kill or pull weeds so they don’t compete with grass and landscape plants for water. If you already water, modifying your practices can save water, and money. If you have a dehumidifier, consider using that water on plants. The rain barrel idea mentioned above is slowly becoming mainstream. The barrels are specially made for the purpose and attached to the downspouts from your home to collect rainwater. What time do you water? The best time is early in the morning or just before dusk. If you water in the middle of the day, much of it evaporates before it reaches your plants. Last, but not least, if you have a pond fountain, be sure the water is recirculated and that the recirculating mechanism is working properly. Just because water conservation isn’t a mandate in our area doesn’t mean you shouldn’t practice it. Ultimately, you will be helping the environment and insuring the future of our ample water supply. More practically, you will be greatly reducing your water bill.